Unlock Samsung Wave M S7250 - Safe IMEI Unlocking Codes for You! 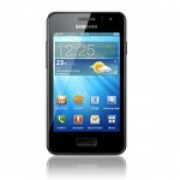 Unlock Samsung Wave M S7250 Handset! In case your Wave M S7250 doesn't ask for the code and there is no designated field to enter it, please DON'T PLACE ANY ORDER, contact us first for support. Start to unlock your Samsung Wave M S7250 cell phone and enjoy using it with any SIM Card worldwide! The codes we provide works for the latest models including Samsung Chat 322 Wi-Fi DUOS, Galaxy S II, Galaxy S III, Galaxy Note 2, Infuse 4G, Omnia, Galaxy Skyrocket, Captivate and many more! 2. Choose the original country and operator of your Wave M S7250 and – not the one you wish to use after the unlock process! How to Unlock Samsung Wave M S7250 Phone - Tutorial! Are you able to unlock Samsung Wave M S7250 from Hungary Tmobile? Do you have available unlock codes for Samsung Wave M S7250 phone?